Sometimes i wonder if its possible for me to do a wordless blah blah blah for a day.. its like how to when most of the time i will be posting recipes together with pics of my bake.. shrugs.. anyway this was what i baked last night.. decided to gv this recipe a try after i saw it at Jessie's.. looking at her pic made me wanna munch on it right away and of cos thats what i did today.. i ate like 4 slices of it for breakfast.. 2 slices for tea and a slice right after dinner.. of cos the slices aint what ur looking at here hehehe..
Anywho i still dont know what to wear this friday.. if u hv been my follower.. last year the D&D was all abt masquerade and i went in as a "not a light skin" chinese lady.. wore a black cheongsam and wore a pretty looking mask and even got picked as one of the best.. had to do a catwalk which i hated kahkahkah .. this year the theme wud be smart and colourful.. sooooo ok enough abt D&D.. aint we supposed to be talking abt what i baked?? heheh.. this recipe is definately a keeper.. i loved it and i am pretty sure Hairi will love it too since hes a big fan of light cheese cake.. hb on the other hand who is not a big fan of any light cheesecake said its alright.. ate two slices and told me to pack him a few slices to take to work..
2. Grease and lined bottom of a 8" square baking tin.Wrap around the outside of baking tin with aluminium foil. 3. Place the softened cream cheese, butter and fresh milk in mixing bowl and stir over double-boiler until melt and mixture is thick and creamy. Remove it from double-boiler to cool. 4. Upon cool, add in the 6 yolks gradually and mix until well combined. 5. Sieve in the plain flour and corn flour to the batter and stir till mixed. Set aside. 6. In another bowl, whip the egg whites in till foamy, add in cream of tartar, continue to whisk. Gradually add in the caster sugar, whisk till stiff and peak. Add one-third of whites into the cheese mixture and fold till incorporated. Continue with the balance. 7. Pour the batter onto the prepared pans. Place it on top of a tray of water and bake in water bath for about one hour or until firm and golden brown. 8. Turn off the oven. Leave cake in the oven and leave the oven door ajar to cool cake. Apa aje I buat tak tidor at 3am ek? Am listening to Jamal's song. Tak tau title but very da menusuk kalbu one. BTW, baru tadi I watched a movie Aish n Hrithik. Adalaa scene yg a bit auwww..
Kek ni nampak lembut and not too cheesy kan?Selalu cakap dekat diri sendiri untuk cuba buat..tapi tak terbuat-buat jugak!Ni mesti buat...lepas beli timbang nanti..ahaks! 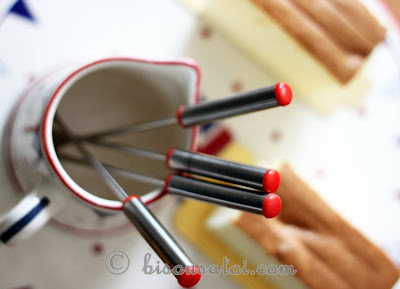 *No need for Wordless Wednesday or Thursday or even Friday..coz u always come up with new cakes and desserts yang meletop! Hi, there.Lovely blog and nice food.Thinking of baking this cheese cake today! 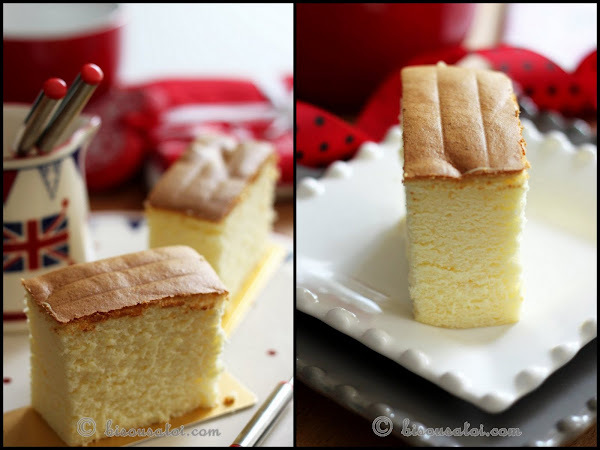 ushhhh i love this kind of cake.. biasanya buat resipi alma kat myr yg guna slice cheese instead of creamcheese.. always kena double up adunan sbb kalau satu adunan mmg kejap jer abis.. tak boleh nak ngap sepotong mesti nak lagi dan lagi.. whole family suka this light cheesecake.. Absolutely yummy...tengok pun dah tau...gebunya (bukan en mat gebu ya) kek kapas keju jepun itu. Rima, thanks for the recipe...nak cuba buat..hihi! akak..gebu dan lembutnya kek tu.. Morning Rima, u ni macam tau tau aje. i will be baking it this weekend for my birthday "boy" and double the adunan too. i just hate the amount of telo i have to put in. 2 adunan = 12 telos and he will eat 1 whole cake by himself. Lain sket ek measurement bahan2 dia... Well, if u say its good, then its good and i will try this recipe pulak. 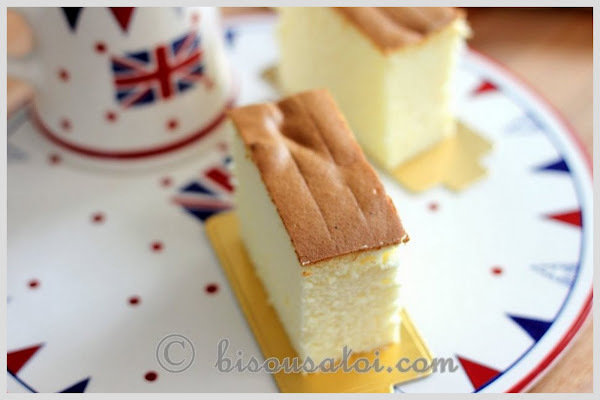 This type of cake memang tak jelak dimakan cos cheese dia light light aje.. kira bila masuk mulut terus hilang tu yg boleh TERmakan lebih dari sepuluh hehehe..
U shud.. its easy and its light on ur tummy..
cuba ok.. cream cheese at room temp.. butter at room temp so that when u double boil it senang mixture dia nak kelihatan licin.. good luck! 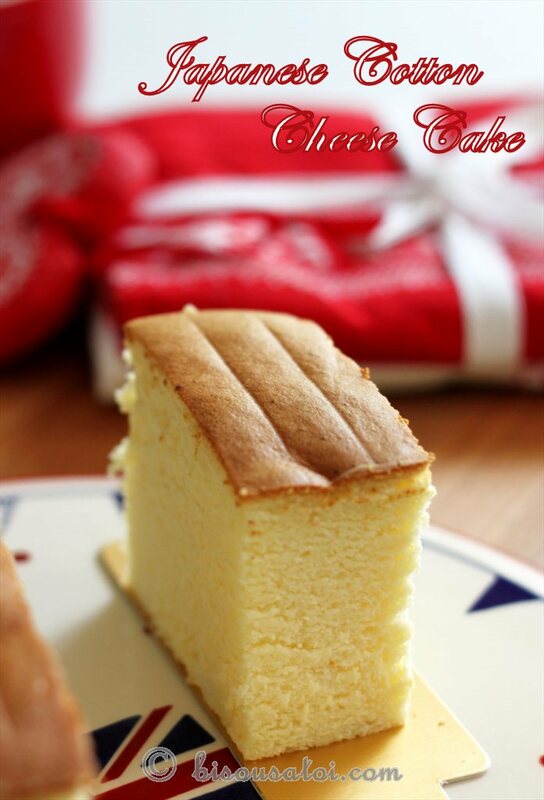 The first and the last time I made Japanese Cotton cheese cake was few years back. Suka sangat2! tapi sangatla bahaya for my diet... huhuhu..
lol.. the word verification is GEDER! Tambah or kurang kan few inches?? macam mana nak kurang kan balik.. semenjak i started taking hormone pills waktu nak dapat sonia sampai lah sekarang.. turun nye sikit.. naik nye byk hahah..
baru je tadi malam i pergi Hearty's blog to get this recipe n tau2 je pagi ni dah ada kat yrs...memang i dah teringin sngt nak buat so cfm lah akan buat besok after seeing yrs. Btw i made that custard w/o the whipping cream. When i 1st tasted it i found it so XXtremely sweet n i told myself that u def hv very sweet tooth. Bila try makan lagi... again i cudnt take it coz very overly sugar sweet. Then i masuk sini lagi n recheck...patutlah terlebih manis coz instead of 1/4 cup sugar i had put in additional 1 cup. When i finally got it correct the end result was delisch. 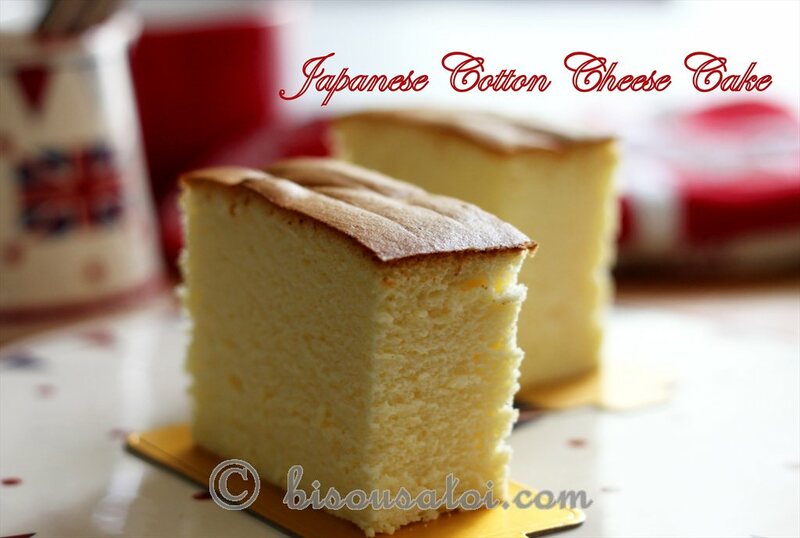 Japanese Cotton Cheesecake.....hmmmmm..if I ever make this, am sure it'll turn out to be a Japanese "lycra" cheesecake..LOL! Liat all the way! Happy preparing for the D&D. You'll be a Bollywood Beauty if you go as Aish tomorrow! Rima Rai..cute bunyi nya.. I love this Japanese cotton cheesecake..tapi first time I buat...tak naik langsung....jadi dense and hard..macam hard jelly pun ade...in the end masuk Mr Bin...now macam phobia sikit nak buat lagi...hm do you have to let it cool completely in the oven? Perhaps I should give it another try...using this recipe pulak. Rima, tolong nasihat sket camne ek nak deco cake cengini? he he..
yes u hv to.. we are afterall talking THE opera cake hehe.. still have fun! Kwang kwang kwang if only i look half as pretty all the bollywood actress ahakss..
u can decor it of cos.. go to this link and u will get some idea on how to deco a cheesecake..
it was custard for the eclairs...mind u it was 1 + 1/4 cup agnst only 1/4 cup sugar..so u can imagine the sweetness! Now i make sure i put on my glasses when reading recipes. U've also made cheescake using Yasaboga's recipe...Is there much difference in the texture or tastewise? I see this one uses milk while Yasaboga uses cream. Now if only i know where the D&D is gonna be I'll surely be loitering at the lobby with my camera..nak tengok itu celebrity n her hubby jalan kat red carpet. Rima.., terliur jap tau nengok japanese cake tu..
Hi. I baked this cake on last Saturday. It was moist and sort of wet at the bottom. Why?? dissapointed, but it tasted rich and nice. Apa salah ku?? glad to hear u r back on ur feet. still hv ur stitches on? i just hate the 'ngilu' feeling when the doc pulls out the stitches..horror you. anything holler me ok dear! Did u wrap the bottom of ur pan with aluminium foil?? how far up is ur hot water? for this cake i didnt even use a loose bottom cake pan.. i felt its much more safer using a normal pan as u can rest asure that no water will seep into ur baking pan.. I am better now.. will hv my stitches off next week.. arghhhh mati lah makkk..
U know the last time i was in KL tiba tiba macam teringat tempat u pi beli all ur patisserie.. lupa pulak nama tempat tu but anyway dah nak on the way balik sg baru teringat hahaha.. ok i will let u know when we will be in kl again ok..
wahh... tq Rima. kalau nak i deco camtu dah kira tahap dewa dah tu.. ha ha... nway, thanks again. Hi sifu. Made it today for my hb. 2 batches. almost gone now. jus dust with icing sugar and strawberry. ha ha... dasar pemalas. Thanks for d recipe. Its ok.. dont gv up ok.. i also like that if tak menjadi akan ku buat lagi dan lagi hehe.. if tak game game i campak kan aje idea tu jauh jauh..
That good.. Well done sis rima, proud of u..long time tak dgr berita awak apakhabar? Kak, kalo tak letak cream tartar bole tak? Kak Rima, when i baked this cake last weekend, it wasn't on the sponge-cotton at all. More of like a baked cheesecake which is compact. What cud hav gone wrong? Isit my method of warm bath coz i filled a 10" square tray with water and placed my 8" batter mould in it then baked it. sorry for my late reply.. i usually will use my cookie pan.. like a 1" high pan as the base and fill my water up to almost the fullest..